Mainly a place to collect short stories I’ve written. Also somewhere for the ideas I’ve had on work and careers: on the general futility of careers working for other people, and finding the work you really want to do. For an brief idea, start here: 10 Pieces of Careers Advice to My Younger Self. 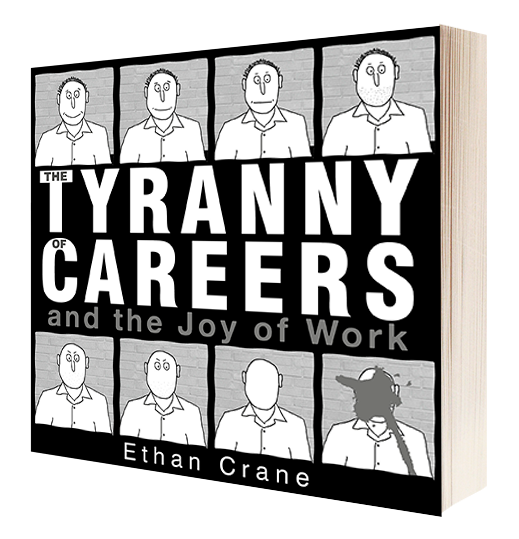 Also on here: a free download of my non-fiction ebook on the subject, The Tyranny of Careers. Also a collection of various ideas about writing. I was trying to find somewhere to keep these notes that was useful to me and then thought that they might just as well be somewhere public. There’s also podcasts , the most recent recorded with writer Talia Ripley: Breaking Bad Rehab about the greatest TV of all time that is Breaking Bad; The Over Analysis about the weird and wonderful Netflix series The OA; and Better Overhaul Saul, on season 3 of Better Call Saul (yes just doing season 3 isn’t very helpful… we kind of lost interest a bit in season 4).